This listing consists of 2 buildings, the main home and a guest quarters or apartment building. The main house is an older 2-story could be up to 4 bedrooms, 2 upstairs and 2 downstairs with a single bath. The home has metal siding, mostly double pane replacement windows and a newer looking roof., The annex building is approximately 18'x30' with full bath and also a newer roof and all metal siding All this plus a chain link enclosed back yard with a children's swing set. 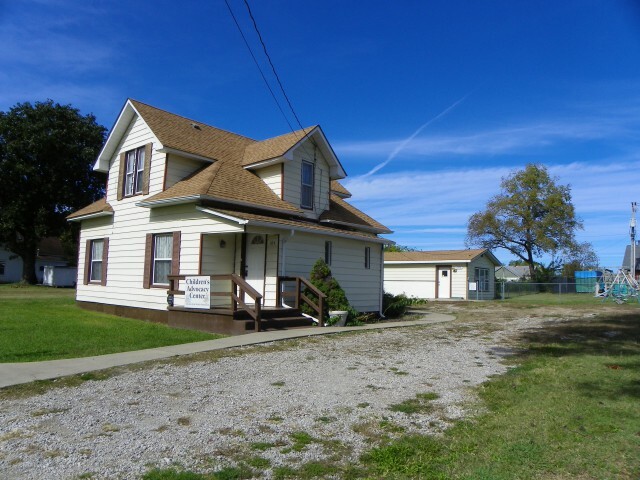 Located in middle of town in walking distance to several churches and school. Room for a larger or extended family. Asking only $94,500. Located at 104 3rd Street, Green Forest, AR. Call 870-438-6574!